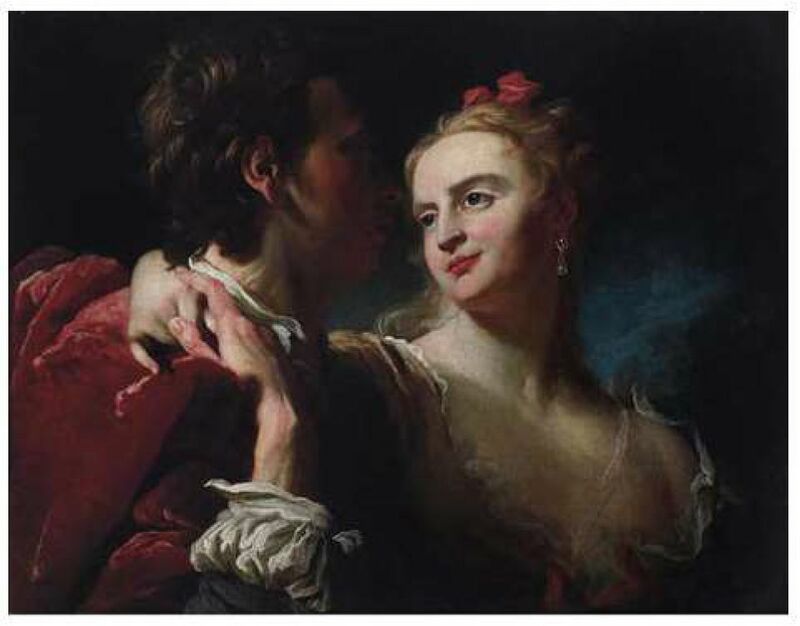 When the US Attorney’s Office in Manhattan announced last week that it had filed a motion to seize the painting An Amorous Couple by Pierre Louis Goudreaux, the move came as a surprise. The 18th-century French work has been held in limbo at a New York auction house since 2013, and Ukrainian officials have shown little interest in getting the relatively unimportant picture back since then. Now questions are being raised about how the work ended up in the US and why such a public seizure is being pursued now, without any apparent attempt to exchange it for art being held by Ukraine. The filing does not identify the auction house or the consignor of the painting, but The Art Newspaper previously reported the object was consigned to Doyle’s auction house in Manhattan, by the Spanierman Gallery, which closed in 2014 when its founder retired after 60 years in business. US law enforcement, the auction house and the Ukrainian government have been aware of the picture and its history since 2013, when it was listed for sale on Doyle’s website. An Amorous Couple, also called A Loving Glance, which prosecutors value at “$5,000 or more”, has been held at the auction house since then. Although the painting, earlier attributed to Fragonard, was pillaged in 1943 from a collection in Kiev, the site of some of the Holocaust’s worst atrocities, it was not looted from Jewish owners. Retreating Nazis are believed to have taken it, along with hundreds of other works, from the Museum of Western and Oriental Art (now the Bohdan and Varvara Khanenko National Museum of the Arts), which the Germans had renamed the Landesmuseum Kiew in 1941. Much of what remained from that collection was transferred in 1943 to Wildenhoff Castle outside of Konigsberg, in what was then East Prussia. Most of those works were destroyed when SS units burned the castle in the Germans’ scorched-earth march westward at the end of the Second World War. 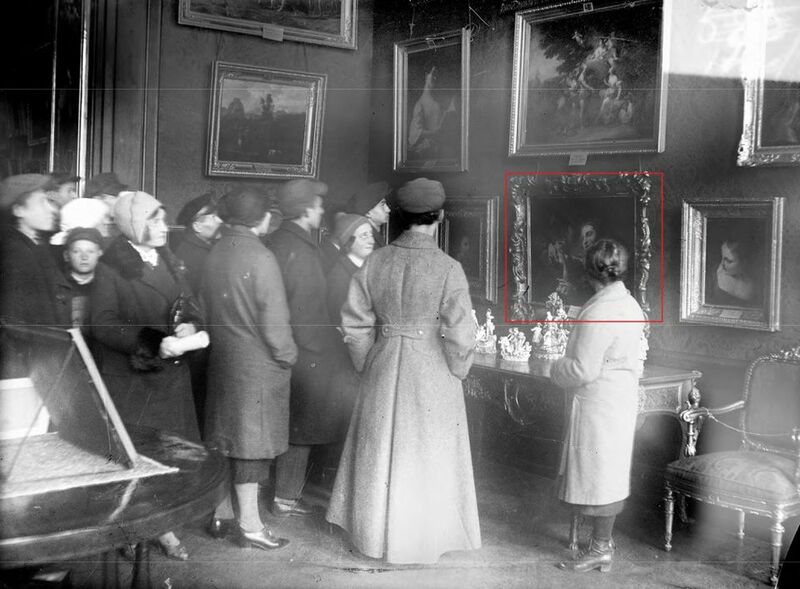 Researchers who study the looting of works from Ukraine do not know how this painting survived the castle’s demolition, or how it got to London, where it was sold in 1953, says the scholar Patricia Grimsted who wrote in 2013 about the Kiev museum's losses. The Landesmuseum, where the galleries of Western European art were open only to Wehrmacht officers and high-ranking Germans, had a practice of allowing privileged Germans to “borrow” works of art to hang in their billets or offices, so some works may have survived in this way. Grimstead notes, however, that at the time, even Nazi officials were concerned this "borrowing" might lead to freelance theft. It is also not known how the Goudreaux came to the US, but it was sold in 1993 at Douglas Auctioneers in South Deerfield, Massachusetts (mistakenly identified as Missouri in the recent court filings), where the Spanierman Gallery acquired it. As of 1998, the painting was named in a Catalog of Works by Western European Painters Lost During the Second World War, published in Kiev. Restitution experts learned of the picture’s consignment at Doyle in 2013 through Ukrainian sources and the Art Loss Register, and informed the FBI and the US Attorney’s office in Manhattan. At the time, according to the complaint, the Khanenko Museum requested that Doyle’s remove the work from its auction. Since then Ukrainian officials have shown little interest in getting the picture back. Asked about the recent motion in New York, a representative of the US Attorney’s Office declined to comment. Restitution experts have also wondered why the government’s effort to seize the painting was not linked to the possible recovery of art in Ukrainian institutions that are claimed by Americans. One such work is a portrait of a young woman, Magda Mandel, painted in 1928 by Adelbert Erdelyi, which is now in the Trans-Carpathian Museum in Uzhhorod. Mandel, who survived Auschwitz, died in the US in 1975, and her family has sought to reclaim the portrait, but they say the Ukrainian government has been unresponsive to their efforts so far. “I think it’s a missed opportunity,” Grimsted says. Once a participant in restitution conferences, Ukraine has grown quiet internationally in efforts to restitute art pillaged during the Second World War. The country is in a conflicted position as a victim of looting, since most of the Nazis’ plundering of Soviet collections took place in Ukraine, and a holder of looted art, as Kiev remains an important repository for trophy works brought back from Germany after the Nazi surrender. In 2004, the Ukrainian president Leonid Kuchma handed 139 drawings from the Koenigs collection, which the Nazi agent and art historian Hans Posse had bought in the Netherlands, back to the Dutch government. Seized by Soviet trophy brigades at the end of the war from storage in Pillnitz, near Dresden, the drawings—part of a larger group that Posse bought—were stored in Kiev until their return.